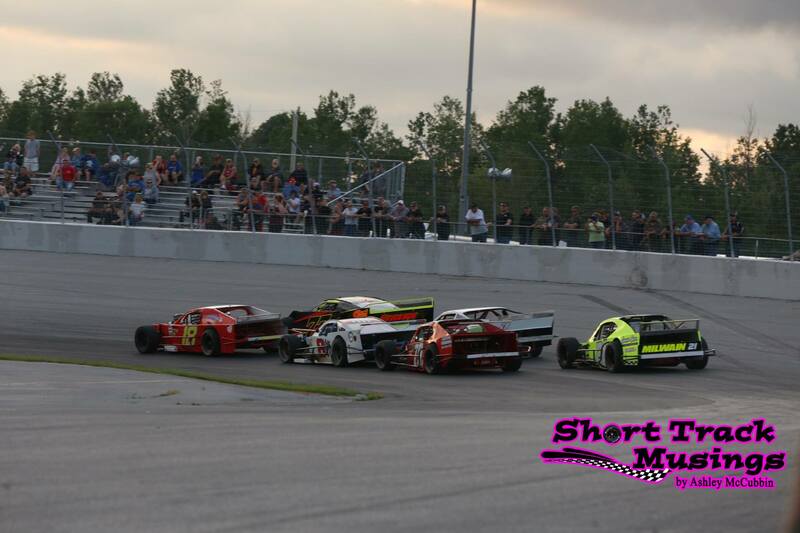 Following an exciting night of racing at Sunset Speedway, the OSCAAR Modifieds are set to get back at it on Friday, July 13 at Kawartha Speedway. A lot of drivers have circled this date on their calendar as it very well quite possibly with a high percentage be the last ever event at the half-mile in Fraserville, Ontario, due to the casino moving. Therefore, there is a lot of prestige to the driver who can find victory lane. The last time the series visited Kawartha was in June, and it was John Harper leaving his fingerprint on the facility with a victory. Harper hopes to keep the positive momentum going following a fourth-place finish at Sunset Speedway. Coming off his fifth top-five in the last six OSCAAR races, he hopes to build upon his first and fifth in his last two Kawartha starts. Although Harper will be gunning for the Kawartha sweep, there’s no question a full field of field drivers will be looking to take the chance away from him. Sunset Speedway race winner Cory Horner knows what it takes to get the job done, as he won at Kawartha last year in June. He also has scored no finishes outside of the top-six this season, and has three straight podiums at Kawartha. Gary Elliott will head to Kawartha Speedway hoping to get back into the top-10 after just missing that mark in his last three series starts. Elliott has ran well at the Fraserville, Ontario oval previously, finishing second in 2014. Dale Reinhart hopes to have luck on his side after a late-race incident left him sitting outside of the top-10 at Sunset Speedway. He has been solid at Kawartha Speedway, scoring a top-eight in each of his last three starts. Mike Hearty is set for the long haul from Sault St. Marie to be part of the action, hoping to improve upon his pair of season-best sixth-place finishes this year. For the record, his best finish at Kawartha is well, a sixth. Wally Wilson will continue his learning curve behind the wheel of his modified, hoping to continue getting stronger after posting a season-best 12th-place finish at Sunset Speedway. He has scored a best finish of 14th at Kawartha. Jase Cornell will hope to put together a solid performance following a 17th-place finish at Sunset Speedway. Notably, he scored his best Kawartha Speedway finish with an 11th in June. Chad Strawn hopes to keep the positive momentum rolling after scoring a third-place finish at Sunset Speedway. He has gotten the job done at Kawartha before with a win. Duane Cinnamon will hope to have a smooth day at Kawartha after scoring his first top-five of the 2018 campaign with a fifth at Sunset Speedway. Notably, he has done well previously at Kawartha, picking up a 10th in June. Kelly Balson made his name known in the OSCAAR ranks with success in the Outlaw Super Late Model level, including visiting feature victory lane at Peterborough Speedway. Now behind the wheel of the modified, he showed speed and led laps at Kawartha before a late-race spin took him out of contention. Notably, he scored a season-best seventh at Jukasa Motor Speedway. After scoring his first finish of the season outside of the top-two with a 13th-place finish at Sunset, you can be certain that Gary McLean will be looking to get back on the podium this weekend. He finished second at Kawartha in June. AJ Emms will be looking to score his third straight Kawartha Speedway top-five this weekend after finishes of fourth and fifth last year. He has made two starts thus far in 2018, finishing fifth and second. Dan Price hopes to score his first top-10 of the year this weekend after a rough 2018 debut at Sunset Speedway with a 14th-place finish. Notably, he finished ninth in his lone appearance at Kawartha last year. Anthony DiBello has only made a single start with the OSCAAR Modifieds, but it was impressive. At Kawartha in June, he scored a heat win before placing ninth in the 40-lap feature. Mark Gordon hopes to score a top-10 after the first two starts for him this season have been rough with finishes of 15th and 19th. ADAMS Motorsports will once again have Darryl St. Onge replacing Luke Gignac behind the wheel of the No. 99 Modified. St. Onge adapted well to the open-wheel style of cars at Sunset Speedway, fighting back from a mid-race spin to finish ninth. Branden Bullen will hope to score a top-10 after finishing 18th in his return to OSCAAR competition at Sunset Speedway. The 2018 rookie of the year candidates – Jason Bowden, Jason Keen, and Jeff Showler – have each impressed this season with lots of speed and ability behind the wheel. Bowden enters this weekend hoping to rekindle the magic that delivered a fifth-place finish at Kawartha in June following two finishes just outside of the top-10. Showler entered this weekend with tons of momentum following a third at Jukasa Motor Speedway and a second at Sunset Speedway. He finished 15th in June at Kawartha. Keen hopes to keep the consistency going as he has yet to finish outside of the top-10 this year, including an eighth-place finish at Kawartha in June. They’ll be joined by fellow rookies Craig Scott, Bob Franks, and Tyler Di Venanzo. Scott ran into mechanical issues in his debut at Kawartha in June, while Franks scored a 13th-place finish. Di Venanzo has yet to run Kawartha in his career after making his debut at Jukasa. Marshall Schrenk will make his first trip to Kawartha Speedway following a 10th-place finish at Sunset Speedway. David Balych continues to work towards his first career victory, having posted three top-10’s last season. so far this year, he has posted a 17th and 14th in his pair of starts. He was solid at Kawartha in 2017, scoring a seventh in June. Chris Milwain will hope to score his fourth career OSCAAR victory following three wins last season, and three top-fives in three races this year. He was solid at Kawartha previously, scoring a top-four in each of his last three starts. The OSCAAR Modifieds will be joined by the OSCAAR Hot Rod Series, Ontario Legends Series with Day 1 of the Canadian Legends Nationals, and Bone Stocks. Make sure to come out and check out the great night of racing, remembering to either print or show the coupon to get $5 off your general admission.